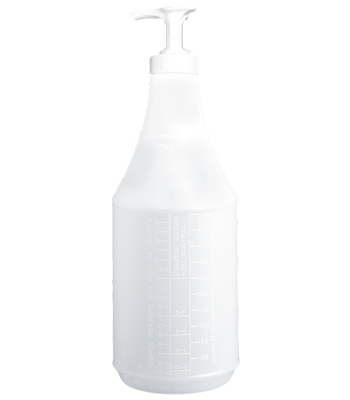 Natural HDPE bottle with white plastic pump that delivers 1/16 oz. per stroke. 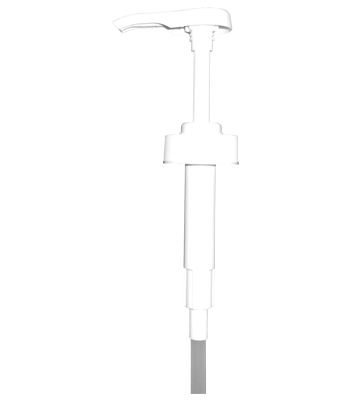 White plastic pump with stainless steel spring and 28/400 neck finish. 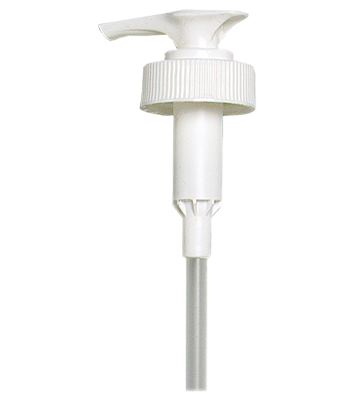 White plastic pump with stainless steel spring and 28/400 neck finish delivers 1/16 oz. per stroke. 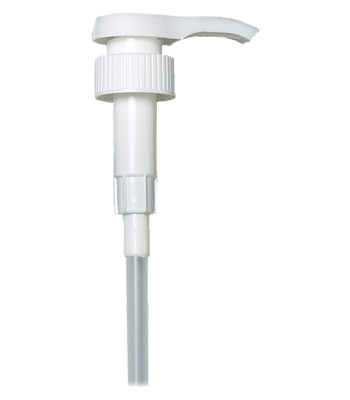 White plastic pump with stainless steel spring and 38/400 neck finish delivers 1/8 oz. per stroke. 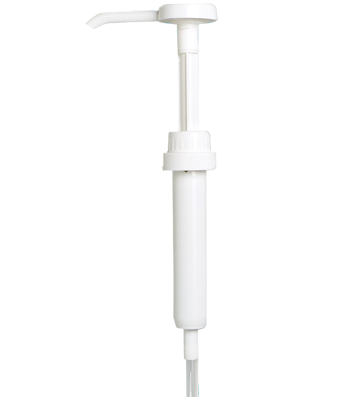 White plastic pump with stainless steel spring and 38/400 neck finish delivers 1/4 oz. per stroke. 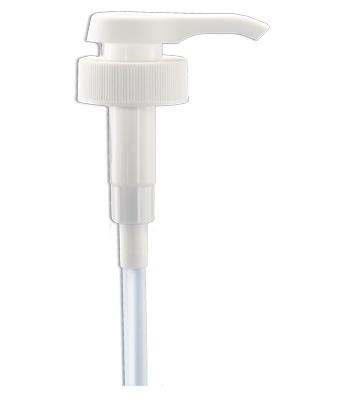 Locking white plastic pump with stainless steel spring and 38/400 neck finish delivers 1 oz. per stroke.